If you spend lots of time using internet and email, you are probably familiar with POP3, IMAP and SMTP. Yes, these three protocols are well-known as the commonly used internet email configurations. IMAP, POP3, and SMTP, each has unique function and specific feature. Considering that emails have been the inseparable thing to most people’s needs right now, it is better for you to understand further about those three protocols. If you want to learn more about three of them and how they work, you can find out more about it down below. For your information, even though IMAP, POP3, and SMTP are often considered as one, in fact they are three different protocols. They are all email configurations but each of them has distinguished function that differ them from one another. Here is the detailed explanation about these email configurations. IMAP stands for Internet Message Access Protocol. It is one of the best mail protocols to be used around the world. The protocol has the ability to access mailbox located on local email clients as well as on the remote server. Using IMAP required more advanced skill, but in the end, it provides more benefits and conveniences. The best benefit of using IMAP is the fact that the protocol is capable to get synchronized across several devices at the same time. This IMAP is best to be used by those who operate email system in larger quantity and in multiple devices. It is easier to use IMAP when a bunch of emails need to be processed at the same time. 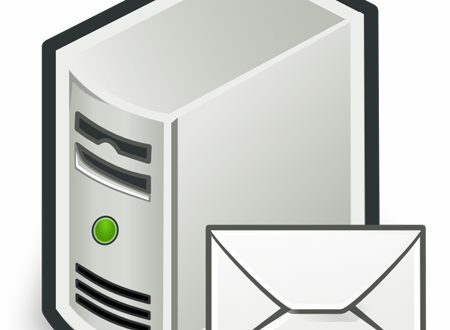 Meanwhile, the POP3 stands for Post Office Protocol version 3 that has the main function to collect mails and transfer it from remote server to local mail client. In addition, the protocol is not only collecting the emails, but also copying before transferring them from two servers. This protocol is best to be used by those who want to use as little space as possible on the server. This protocol has the ability to delete the emails after the copies are being transferred, hence clearing the space on the server. SMTP stands for Simple Mail Transfer Protocol. This is probably the simplest protocol among the three. The major function of SMTP is to send mail. The protocol has very easy access for almost everyone. Even without advanced knowledge of computer, you can operate it, and the protocol is crucial to email system. Without SMTP, it is impossible to send email conveniently. This is why the protocol is the simplest, yet the most essential one. Now that you already understand better about IMAP, POP3, and SMTP, you can choose which one fits the best to your need. By choosing the right protocol, you will have the chance to enhance your business and run the emails smoothly. Therefore, you should never take the protocols for granted. Well, the more you understand them, the more benefits you will get.